Should electric car users pay “their fair share” for Granite State roads and bridges? That’s the idea behind a “road usage tax” that’s already passed the NH House 168-152 and is in committee in the Senate. “We have to do something. There hasn’t been a state that’s solved this yet. I believe if we in New Hampshire can solve it this way, every other state will quickly follow us.” That’s the view of Rep. Norman Major (R-Plaistow) chairman of the House Ways and Means Committee. He and his Democratic counterpart, Susan Almy (D-Lebanon) both support the idea. That “something” is a sliding scale of fees on New Hampshire vehicles based on their gas mileage. Owners of vehicles averaging 20 mpg or less would pay nothing, while owners of fully electric vehicles would pay the $111 maximum. Everyone else would pay something in between, meaning some people would pay both gas taxes and a high-gas mileage fee. “We have more vehicles driving on the roads; our revenues are flat and the condition of our roads and bridges is getting worse,” Major said. His problem is that, on Wednesday, GOP Governor Chris Sununu promised a veto. 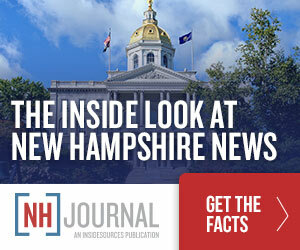 “That bill, as it’s currently designed, is nothing I could support at this time,” he told the New Hampshire Union-Leader. Everyone agrees that the increasing number of electric vehicles and hybrids is impacting the revenue stream from gas taxes. According to the University of Michigan, the average mpg of cars sold in the US has risen from 20 mpg to 25 mpg over the past 10 years. Congress put $95 million its last highway funding law for states to study alternatives to the gas tax like “per mile” fees. According to GreenTechMedia, 17 states now charge fees on electric vehicles to make up for lost gas-tax revenues. States on both coasts, including New Hampshire, have been studying ways to charge drivers a fee per mile driven. But the move to add new driving fees has not been without its bumps. Last year, Oklahoma tried to impose a $100 fee for the purchase of an electric vehicle and $30 for the purchase of a hybrid vehicle. The state’s Sierra Club filed a lawsuit and the measure will thrown out by the courts over constitutional issues. Meanwhile, some drivers are asking “What’s wrong with the gas tax?” It’s already being collected, it “punishes” carbon consumption–a goal of many governments–and despite concerns about revenue, gas consumption per driver is higher, not lower than in the past. This year the average American driver will buy around 656 gallons of gas. That’s up from 583 gallons in 2013 and 608 gallons per driver in 1984. The real impact on gas tax revenue isn’t electric vehicles–it’s the economy. When the economy is growing, people drive more and buy more gas. When it’s in trouble–as it was during most of the previous 10 years–consumption falls. It remains to be seen how much mileage NH lawmakers will be able to make off the call for drivers who paid more for electric cars and hybrids to also pay higher taxes for the privilege of getting better gas mileage.